At Brilliance, we love a good challenge. When customers come to us with a design idea, we see it as an opportunity to bring their vision to life. 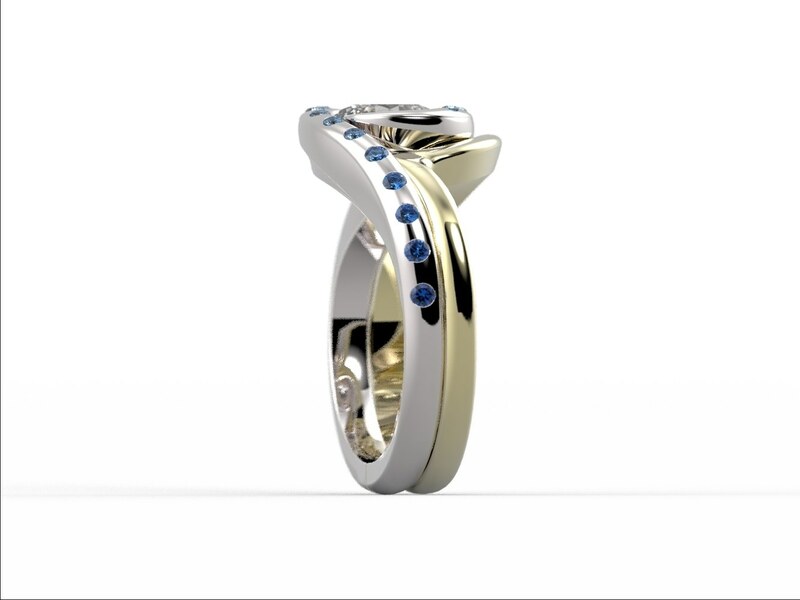 This month we look back at last years’ favorite: a beautifully ambitious ring perfect for any ocean lover. White and yellow gold swirl around a beautiful center round cut diamond. The swirling was a challenge, making the metals flush with each other, but it came off seamlessly. 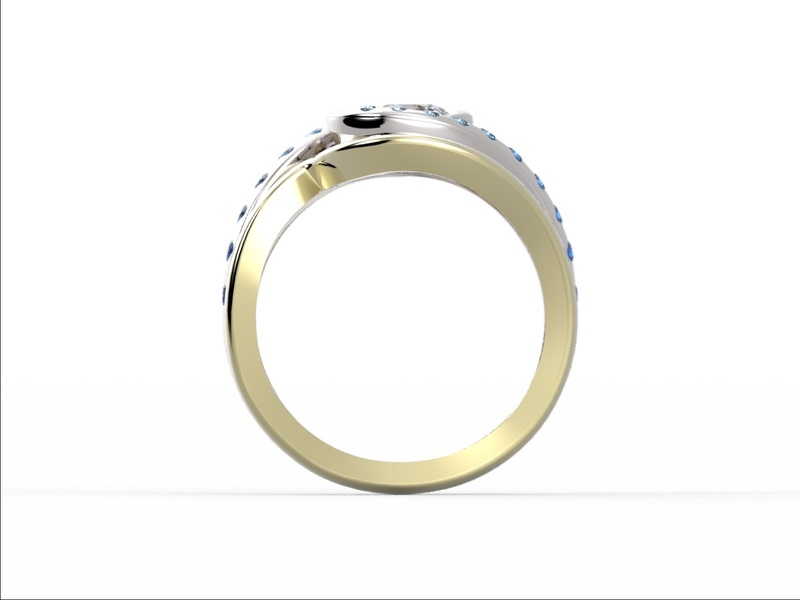 The band is set with sapphires in a range of blues that get darker as they go down the band. 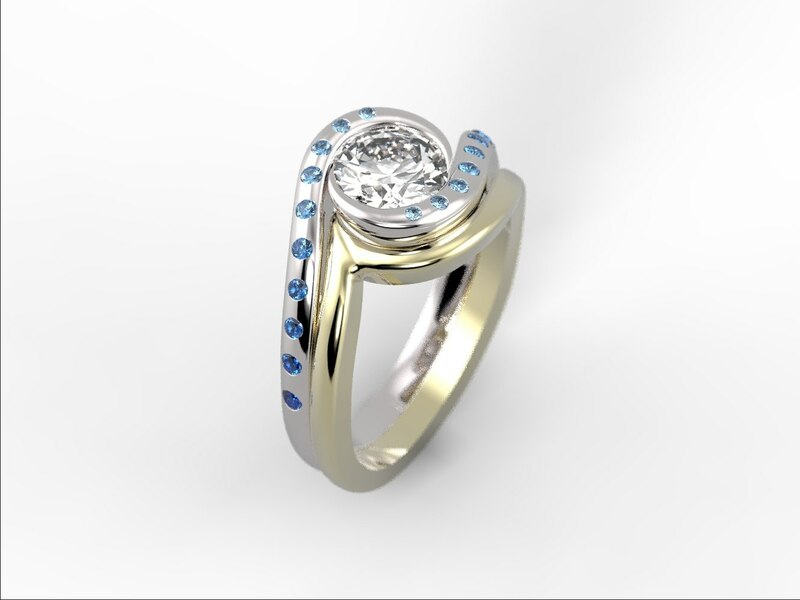 The ring is a beautiful testament to our jewelers ability to make a dream come true.